Price Range £99 - £140Price RangeSimply drag the slider bar to set your price range. The Nolan N21 is a minimalistic product inspired by the timeless vintage look. 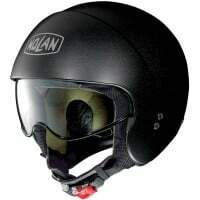 It continues the legacy of its predecessor, the N20 Traffic and is ideal for both custom riders and cafe-racers. A multitude of different classic and vintage looks are available thanks to a variety of colour combinations for the inner padding, shell edge and VPS edge, as well as the graphics and the shell itself. 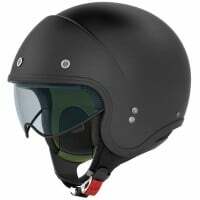 The Microlock retention system, a ring to secure the helmet to the motorbike (Helmet Lock Ring) and the front vents (depending on the model) complete the N21.